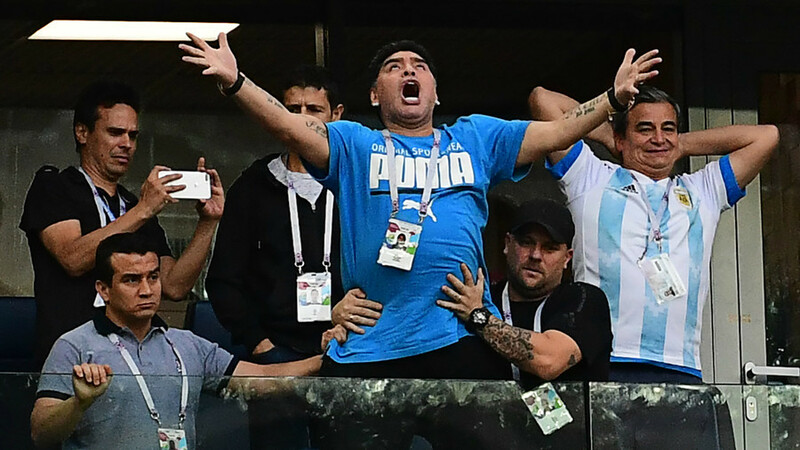 Lionel Messi's first goal of the 2018 World Cup in Argentina's must-win match versus Nigeria evoked such an immense reaction from watching icon Diego Maradona that it convinced social media the 1986 World Cup winner was possessed. 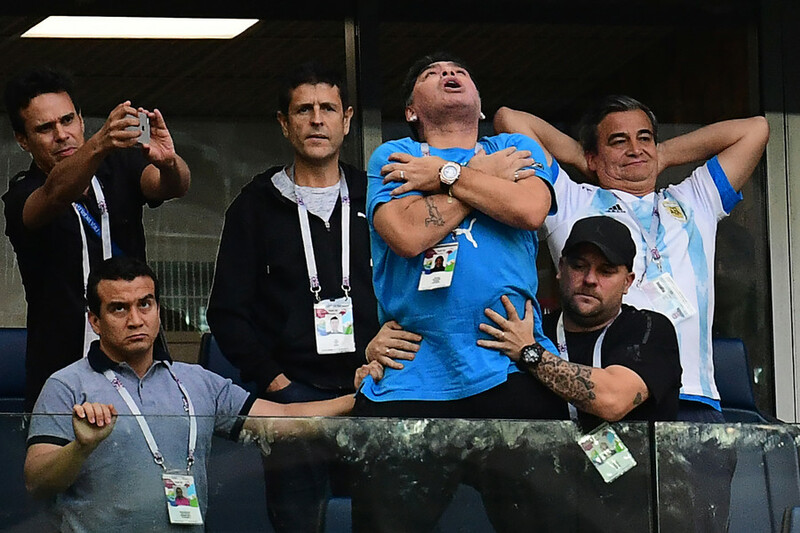 When Messi fired Argentina into the lead on 14 minutes, Maradona appeared to exert his emotions skyward with his arms outstretched, before crossing them across his chest as if to bless himself, and then roll his eyes into the back of his head as if possessed by an other-worldly force. Twitter users were quick to pick up on the reactions of the former Argentina captain and number 10 to Messi's first beautiful strike. The current Argentina skipper brought Ever Banega's ball down on his left thigh, before firing the ball on his weaker right foot past goalkeeper Francis Uzoho. The Messi goal and the Maradona reaction in the stands has made my day. How can you not love the World Cup. Messi!!!!! Look at maradona’s reaction!! What a start to the night! 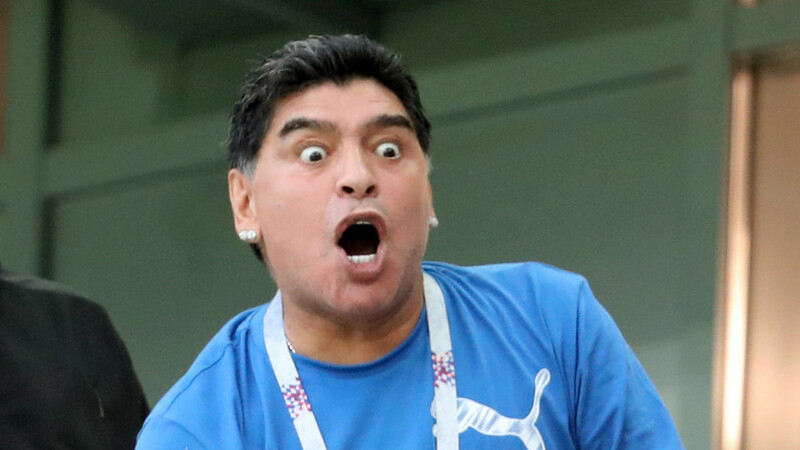 Maradona shows more emotions in 60 minutes than I show in an entire week. The goal made Messi, 31, the first and only player to score in the World Cup finals as a teenager, in his twenties and in his thirties. 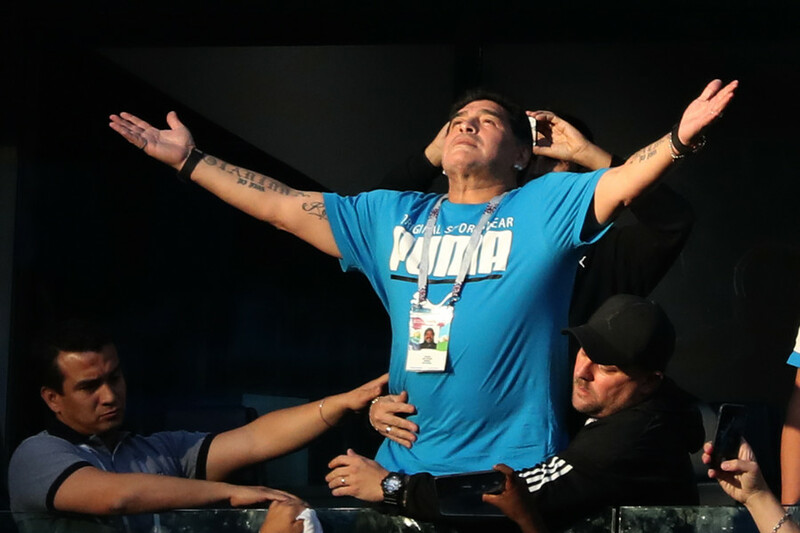 Before the match, Maradona had declared his love for La Albiceleste by unfurling a huge banner of himself striking the now iconic pose holding his hands as though begging, wearing Argentina's second strip at World Cup Italia 90, complete with stained glass background.